Light Detection and Ranging elevation data is an optical remote sensing technology that can measure the distance to, or other properties of a target by illuminating the target with light pulses from a laser and measuring the time and intensity of the pulse return to the sensor. Laser pulses from the sensor can exceed 150,000 pulses per second. Aircraft position (X,Y,Z) is measured twice a second while aircraft attitude (pitch, roll, yaw) is measured 200 times per second. Currently this is the most accurate type of elevation data available. There are two main types of LiDAR collections, Terrestrial and Airborne. 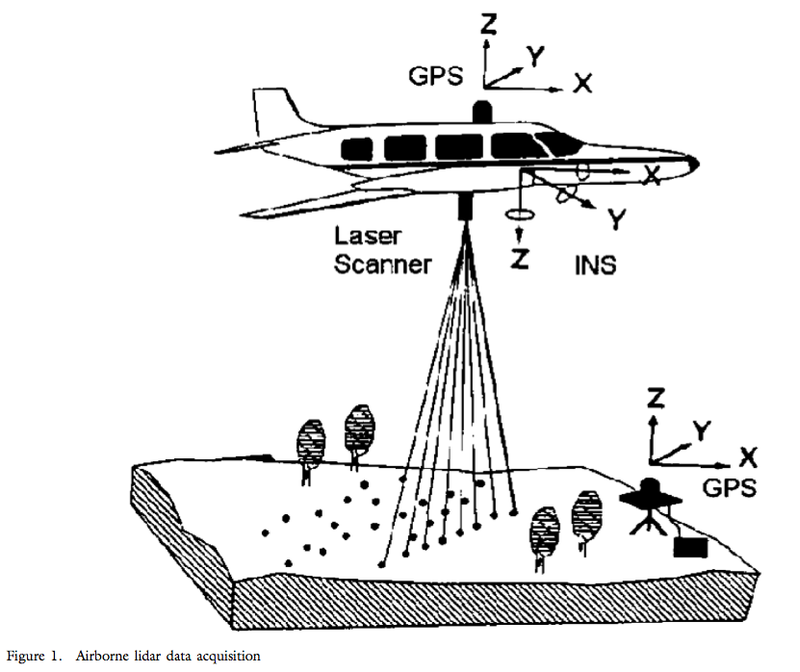 Airborne LiDAR is most commonly used and available from AGRC. AGRC Utah LiDAR applications video from AGRC on Vimeo. Bare-Earth Digital Elevation Models (DTM) and First-Return Digital Surface Models (DSM) are commonly used raster products derived from LiDAR point cloud collections. Bare-Earth DEMs have had features above the ground filtered out and are what is typically used for floodplain and hydro-logic modeling. First-return (highest-hit) raster products model a surface but retain the features above the ground such as buildings, utilities, other manmade structures and vegetation. If you are a CAD / Microstation user you may need to convert the .img files into a different file format such as .tif or .las. A web search for AutoCad and .img will produce helpful results or search user forums. You will find discussions about converting the .img format to a format you can use. There are many tools that can convert the files - FW Tools and ER Viewer (free), Global Mapper (trial version), MyGeodata Cloud, and ArcMap to name a few.